The worst thing that can happen to movies and free news is for Disney to gobble up Fox Studios and yet another news channel.. There is a reason a hundred years ago antitrust laws , and labor laws and child labor laws and unions came to be… because we learned the hard way… unchecked capitalism and greed is indistinguishable from tyranny and murder. Companies were literally killing people to make a penny more in profit. Let us not go backwards. Say no to Disney gobbling up another studio and another network and news division. That would make them even more, the makers of truth..
Too much power for any company or any man. Comcast is no prize, but in this situation, having them buy the Fox portfolio, it is clearly the lesser of two evils. Top MARVEL Artist Pledges Not To Visit U.S. States That Voted for Trump! ‘There are 29 states that Ramos will no longer visit according to these terms, including Alabama, Alaska, Arizona, Arkansas, Florida, Georgia, Idaho, Indiana, Iowa, Kansas, Kentucky, Lousiana, Mississippi, Missouri, Montana, Nebraska, North Carolina, North Dakota, Ohio, Oklahoma, Pennsylvania, South Carolina, South Dakota, Tennessee, Texas, Utah, West Virgina, Wisconsin, Wyoming. I absolutely LOVE this article and Humberto Ramos’ stance! He has for years been one of Marvel’s go to artists. Not one typically on my radar, but his stance here just really makes me appreciate him more, and actively want to seek out his work! And I’m likewise disappointed in the States (I count 30) whose Electoral College votes went to Trump, and I’m so thankful my state wasn’t one of them! And I can see how it makes you not want to visit or vacation or otherwise support those states. I travel for enjoyment quite a bit, and I have to say states I had planned to vacation at in the forseeable future, I honestly will choose a different location/states to give my money to. It’s a huge black eye to some states that desperately should know better. Tennessee, North Carolina… what the eff were you thinking? And I would go even further and while the electoral college disregarded the majority popular vote, they can’t stop you voting with your Dollars. So upcoming article will look at companies that supported Trump, and companies to cease or limit giving your business to. And yes, states not to reward with your tourist dollars! Big Kudos to Humberto Ramos! In Americas? Watch SUPERMOON tonight 13 Nov 16. Closest it has been to earth in 70years!!! Sometimes we get so caught up in the man-made nonsense and bs and toxic minutiae we have made of our lives, that we miss the simple wonders of living. Things that would have been of utmost importance to our ancestors, go unnoticed by the bulk of us in our cutoff homes, amidst our overblown concerns. There is wonder happening tonight, that our ancestors would have had festivals over, and created mythologies to immortalize. Most of us won’t even look up to notice. “The full moon of November 14, 2016 is not only the biggest, closest and brightest supermoon of this year. It’s the closest supermoon since January 26, 1948. 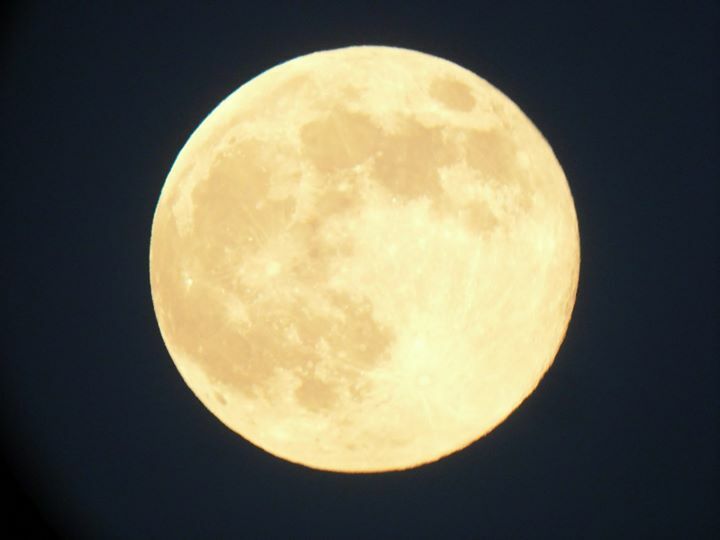 Should you watch for this full moon on the night of November 14? Sure, and, if you do, it’ll be beautiful. But, for us in the Americas the moon is closer to full on the night of November 13. In Asia and Australia, the moon turns precisely full during the evening hours of November 14. In New Zealand, it actually happens after midnight November 15. Around the longitudes of Europe or Africa, look both nights. Better yet … everyone, look both nights! The moon will look plenty full and bright all night long on both nights – November 13 and 14 – as it rises in the east around sunset, climbs highest up around midnight, and then sets in the west at or near sunrise. FALL OF THE CITY / American Election Results! Hillary wins at the Polls but loses due to the bs Electorial College?! That’s Nonsense! You expect me to rant, I’m not goint to rant. Except to say I did my part, I voted for the candidate who actually had some experience both on the national and international stage, ie the candidate who wasn’t Trump. First it is sad that in a nation of 322 million people, these are the two individuals that rise to the largest seat in the nation and the world. Sadder still that anyone would vote for Trump, much less in any numbers (That being relative since only about 125 million people voted in total. Not great numbers in a nation of over 300 Million). And yet more direness, that again the popular vote which is obstensibly what we are fed is this Nation’s great Democracy in action, loses to the backdoor shenanigans of the Electoral College (Clinton beat Trump by over 200,000 votes). A stop gap measure created for just such a reason, to muddy the waters, and make the will of the many, subbordinate to the desires of the few. I guess I am going to rant. This is a talk show president of an apathetic and ignorant population that chooses based on sound bytes and media bias rather than on the record/resume of the individual. Whatever else you say for or against Hillary Clinton, she is an experienced and tested politician on the national and international level. Even the 2nd Bush, at least was a Governor first. Trump has never even been a mayor, he lacks any diplomacy. He’s a walking talkshow host. Who now… due to a, from my vantage, very suspect election day voting process, and the fuzzy math of the Electoral College has been granted the most powerful seat in the world. And he is going to use it to make himself and his friends richer, by making the poor, poorer. That is absolutely his agenda. If you make under $300000 and voted for Trump, you are worse than an ignorant, fool… you are a slave. You are a nation of masterless men… seeking a master. In Archibald MacLeish’s great FALL OF THE CITY, he forewarned against days like this , a whole population ‘seeking to be free of the burden of their freedoms’. The people invent their oppressors: they wish to believe in them. If I was a foreign nation looking at this election, I would see… opportunity. An America that eschews moving forward for the familiarity of moving back. That seeks division over unity, and hate over hope. An America that is ready to fall. I can not control the ignorance of the led, or the machinations of their leaders, all I can do is prepare, enlighten, and support those better voices of our nature and our America. All I can do is define America not as those resources and liberties the venal waste, but those individuals who against the odds seek, preserve, and uplift what is best and noble. But I think in this Trump coup, is the impetus for the formerly apathetic to get involved, to turn around this ship of corruption that is America, beginning with eradicating this Electoral college idiocy. No, this is the beginning. Well I’ve just finished watching the 13th episode of Netflix/Marvel Studios LUKE CAGE, and I have to say… I loved it. Full stop. Show runner Cheo Hodari Coker manages to in many ways do the impossible, and take a character already spotlighted in the JESSICA JONES series, and whose origins are the milieu of the Black Action or Black Agency film of the late 60s and 70s (mislabeled under the derogatory misnomer of Blaxploitation) and with him tell a rich, evocative, exciting, deeply layered cultural and historical and prescient love letter, to a place, Harlem, New York, and to an idea of local determination, and local agency, and self love, and colored love, and Black love in the age of Ferguson. Or you can just look at it as a great action/drama series, set in the wonderfully expansive universe of Marvel shared superhero universe. :). LUKE CAGE takes that to another level, in being a show that is as much about cultural signposts and idioms that define us, as it is the ‘A’ story of conflict and resolution. The literary and historical and musical references are not just littered throughout the story, they help define the scope of the character and the scope of the neighborhood that this story takes place in. A man is the things he loves, the things he reads, the things he listens to, the heroes that inspired, the places that mattered, and immediately in one episode Coker defines LUKE CAGE the character and the series in broad strokes, that for me reverberate deeply. The first two episodes floored me in how good and rich and beautiful, they are. Coker here hitting, for me, the conversations I have in my soul and my head, Chester Himes, Walter Mosley, Denis LeHane, George Pelecanos, Donald Goines??? Come’ on Son!!! Kenyatta??? Those few strokes and I knew this was a writer with a deep love and understanding of genre fiction, and those who make it. But it’s more than name dropping, our influences define us, and define our world, and define who we care for, so immediately they make us part and parcel of this story that Coker and his team of writers tell. It’s a beautifully structured 13 hours of television, in that the first 6 episodes are very much their own chapter. You could bundle those 6 episodes up and have a great season. Episode 7 feels like a swerve, very much like a start over, so if you rush into it, not recognizing that peak at the end of 6, that culmination, it’s going to feel stretched out. One of the possible dangers of binge TV… you have to pace yourself. Take a break after episode 6, let that sink in. It is very much, in comic book terms, the end of the first trade paperback or story arc. Episode 7 begins the 2nd story arc, so you have to go into it not rushing to a conclusion, but gearing up for the start, because start it does. As everything from the first arc gets turned on its head, and new major players break on the scene. It’s a jarring ride, but once it hits episode 9 its has picked up steam and by 10 is on a full sprint to the finish. Episodes 11, 12 and 13 are Brilliant. There is a saying out there that ‘it’s not how you begin, but how you end that matters’; that saying is wrong. All of it matters. It is about how you begin, how you endure, and how you end. Cheo Hodari Coker’s LUKE CAGE does the extremely unlikely, in doing all three exceptionally well. I want a Blu-Ray of this show, complete with Director’s and cast commentary, like yesterday. It is that good, and replete with episodes you want to go back to and know more about. And I have to say it’s wonderful to see here in 2016, that TV is making great strides to not be exploitative, and to have shows where you can have more than a token number of characters of color. One thing I love about LUKE CAGE, particularly about the 2nd half (I love the first half as well) is it is so wonderful to see 6 beautiful women of color in major speaking parts, taking center stage in moments of strength and weakness, and owning the stage. It’s so rare to see a three shot of powerful, beautiful Black women in uplifting, exciting, dramatic, heroic material. It’s non-existent in Hollywood but thankfully, through great show-runners of color, and the success of shows such as BEING MARY JANE and EMPIRE is becoming finally available on the small screen. And the same love extends to being able to see multiple men of color in powerful, uplifting, heroic roles. And the appearance of Method Man, and that song… Amazing. This series in addition to a DVD/Blu-Ray, must release a sound track, because in addition to the songs, the score for some of the episodes… is stunning. I’ve recently become addicted to listening and purchasing scores, and LUKE CAGE has a world class score. Now, is the series perfect ? No. I thought episode 3, they had a real opportunity to do an action sequence as talked about as DAREDEVIL’s hallway fight, but the director/fight coordinator wasn’t up to it. You’ll know the scene when you see it, it’s perfectly fine, but never rises above fine, when it should have been spectacular. And it’s a different show from DAREDEVIL , so the action will be different, I get that, but you can still do different and STUNNING. Also, my problem with a character like Luke Cage, is the same one I have with a character like Wolverine, just because you can stand there and take being shot by a hail of bullets, doesn’t mean you want to or have to. Luke Cage’s character (minor spoiler ahead) is revealed as a former police officer, former Recon soldier, former Prison MMA Fighting champ, former Boxer, all this to say… HE CAN FIGHT. So speed the dude up! Rather than standing there and waiting for someone to unload a clip on you, he should be disarming them and wrapping the gun around their necks before they can get off a shot. Especially since ricochets can kill just as well as any other bullet. I understand visually it’s an exciting thing to depict, but it should be the exception for talented filmmakers, not the rule. When he is shielding people from gunfire, sure… let the bullets fly. But in combat mode he should be disarming these guys before they get a shot off. Particularly later in the season that attitude would have made for exciting sequences. So that was another issue I had. However, the sequences do improve as the series progresses. Plus it’s not a show that is about fisticuffs like DAREDEVIL, as much as it is about the fight for a soul of a neighborhood. And that tale it tells expertly. It is a superlative 13 hours of television, and all involved should take a bow. Cheo Hodari Coker has made not just a great Netflix series, but a great television show, and the one to beat as my favorite show of 2016. And among the Netflix shows so far where do I rank it? It’s much better than DAREDEVIL Season 2, which was good, but not great, it edges out JESSICA JONES, which was great, and it battles it out with DAREDEVIL Season 1 for the top spot. DAREDEVIL Season 1 which was clearly the best show of 2015, outdoes it in terms of action, a definite A of a show. However I have minor quibbles with it, like I didn’t like the loss of Ben Urich, I found the character of Karen page annoying through most of it, the character of Matt Murdock was a bit unlikable, and the last episode it failed to stick the landing with an unimpressive looking costume, and just a bit of a dour ending. So those nitpicks, are the reason LUKE CAGE edges it out, and gets a big A+ grade from me. It possesses a story and characters that I want to revisit… often. Final Verdict: Seminal, Must Watch TV! Will appeal to fans of mystery novels, especially fans of Chester Himes or Walter Mosley, or fans of movies such as TROUBLE MAN. If you are not a fan or are made uncomfortable or nervous or have unexamined issues with women of color, you probably will have an issue with the later episodes. ‘The fault lies not in our stars, but in ourselves.’ Brother, it always does. :). But for the rest of us who watch the series, LUKE CAGE is phenomenal television at its best.